DUMAGUETE City Mayor Felipe Antonio Remollo is supporting a national identification (ID) system as mandated by Republic Act (RA) 11055 for the establishment of the Philippine Identification System. The national ID card is aimed at providing valid proof of identity to simplify public and private transactions. On Wednesday, March 13 House Speaker and former President Gloria Macapagal-Arroyo led the Oversight Committee hearing on the national ID system at a hotel in the city. Also present were Representative Arnulfo Teves, Jr. of the 3rd district of Negros Oriental, who is the author of RA 11055, Rep. Jocelyn S. Limkaichong of the 1st district, Rep. Manuel Sagarbarria of the 2nd district, as well as solons Prospero Pichay and Ma. Lourdes Aggabao. 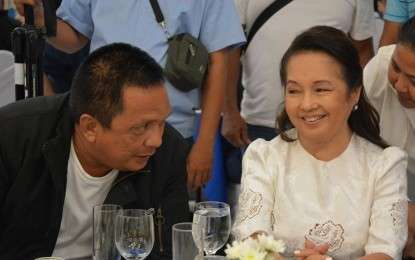 Arroyo, during the well-attended public hearing, said Negros Oriental was chosen for the oversight committee hearing because Teves hails from the province. She said that Rep. Teves played a significant role in what she calls a landmark law because of his contribution, specifically on biometrics. Arroyo said the public hearing would also help the people of Negros Oriental understand more of the national ID system and be updated on its progress and implementation.